-How Do the Benefits You Offer Get Third Parties To Refer to a Care Manager? ? Why would third parties like trust officers, elder law attorneys, conservators or guardians refer a care manager to their aging client and family? If you have an Aging Life or GCM business you need to know. The Journal of Aging Life Care in its March 2017 issue gives care managers some critical clues to solve this question. Why do you need to know this? First, you need to create a practice that meets the needs of your clients and major referral sources. Many clients- usually adult children, call you to start services on their own. But a good majority of clients will call you because their attorney, bank trust officers, CPA referred them. 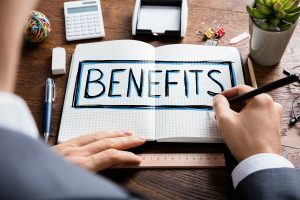 These third parties need to know what benefits you offer them and their clients if they are to make referrals to your agency. On the feeding chain of referrals, they are one of your most important sources to feed income into your business. You have to deliver what they need to make money. The Florida Chapter of Aging Life invested in a 7-year research project to get some of these answers, published in the Aging Life Journal. in March 2017. This is the first research study on Aging Life Care that pinpoints what third parties who refer clients want and value in a care manager. It is groundbreaking. 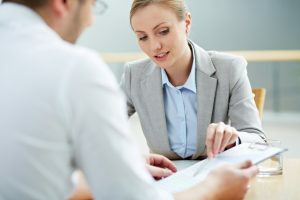 Reading this tells the care manager, not only what benefits to include in their services but in their marketing material, and sales pitch or elevator pitch to the third party. The study tells you what 3rd parties are looking for in a senior advocate for their in a very clear table. They found the number one reason third-party clients use care managers is they assess and monitor their clients and update the third parties on a regular basis. This is a key benefit you can use when you market to third parties, like wealth managers, elder law attorneys, or guardians. 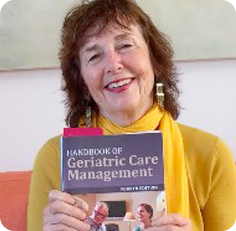 Get a copy of this important Journal if you belong to ALCA or join, as this type of information is one of the many many benefits of the Aging Life Care Association by joining.